Currently, if a business does not meet the basic accessibility standards that have been established in the Americans with Disabilities Act (ADA) for 27 years, they can be sued under Title III of the ADA to compel the business to comply with the law. There are no financial penalties — the plaintiffs can’t shake businesses down for money. Businesses in violation of the ADA are only required to bring their property into compliance with the law, and repay the plaintiff’s attorneys fees. 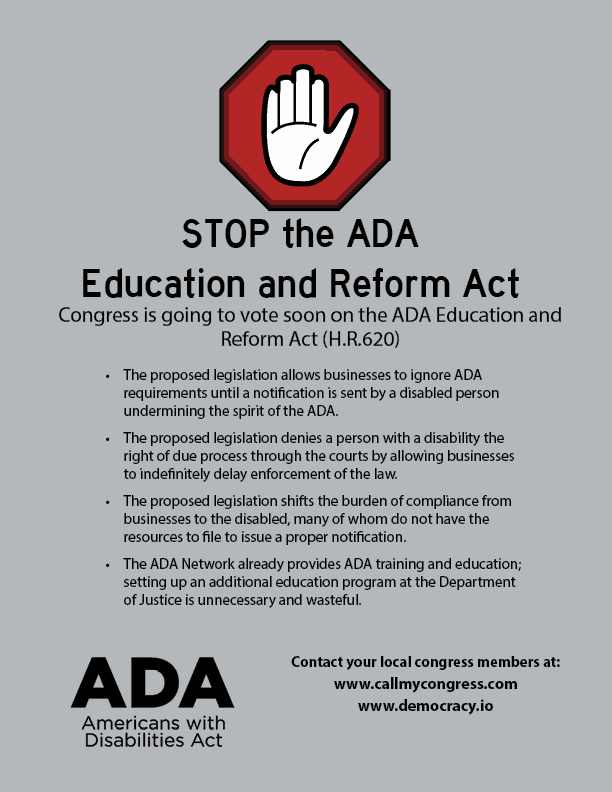 What would the ADA Education and Reform Act do? The ADA Education and Reform Act would require the the Department of Justice to set up a new program to educate state and local governments and business owners of their obligations under ADA. 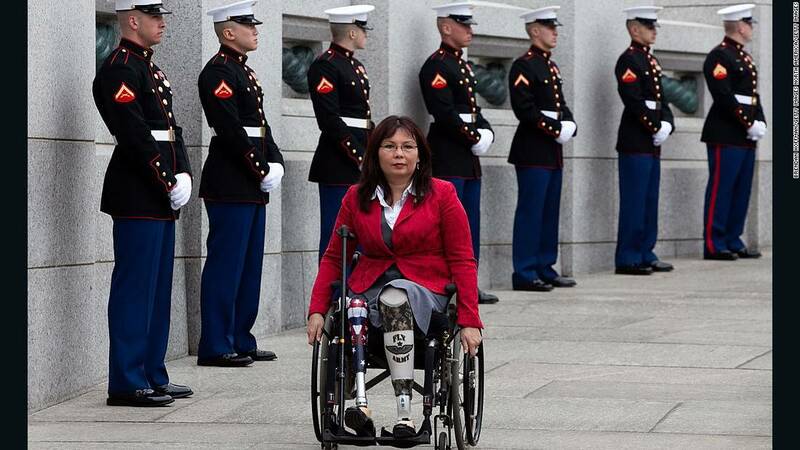 However, federally-funded nationwide ADA training, education, and assistance already exists. The education piece is a smokescreen for the reform part of the legislation, which adds more red tape to the process for those requirements to be enforced, while opening loopholes for businesses to avoid compliance and litigation entirely. After receiving notification, the business would have 60 days to acknowledge the violation, and another 120 days to make “substantial progress” towards remedying the violation. Businesses would have no obligation to be accessible until such a complaint is received. Even then, as the ACLU mentions, this time period could be extended indefinitely, as long as the business claims to continue to be making “substantial progress” towards a remedy, denying people with disabilities their right to obtain a court order to enforce compliance with a 27 year old law. How would this affect disabled people? What can I do to help stop this bill? A very talented friend created a flyer based on this blog post. Please share it far and wide! Note: The original version of this infographic had several embarrassing typos that I made in my haste to get the information out there. These have been corrected.